One of the few African representatives – and one of the strongest – Egyptian GM Ahmed Adly will not take part in the upcoming event to be held in Tromso, informed Daaim Shabazz. Adly was prevented from traveling due to an obligatory service to the Egyptian Army. There was apparently no way to delay the filing of military application for service. 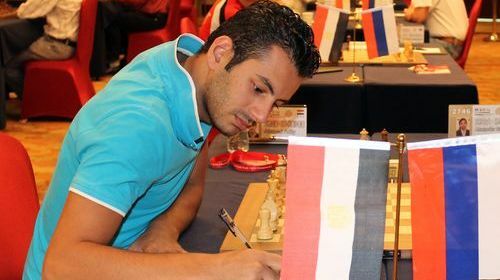 Adly told The Chess Drum that he had exhausted all efforts including the submission of an official letter from the Ministry of Sports. After trying various channels, today’s deadline to receive a concession for travel has passed. The other Egyptian players (GM Bassem Amin, GM Essam El-Gindy and IM Samy Shoker) were not affected. Adly graduated from Arab Academy for Science and Technology and Maritime in February and is required to submit papers to report for military service on next Sunday. The service would be one year if selected. We will be expecting more news regarding the possible replacement of GM Adly.